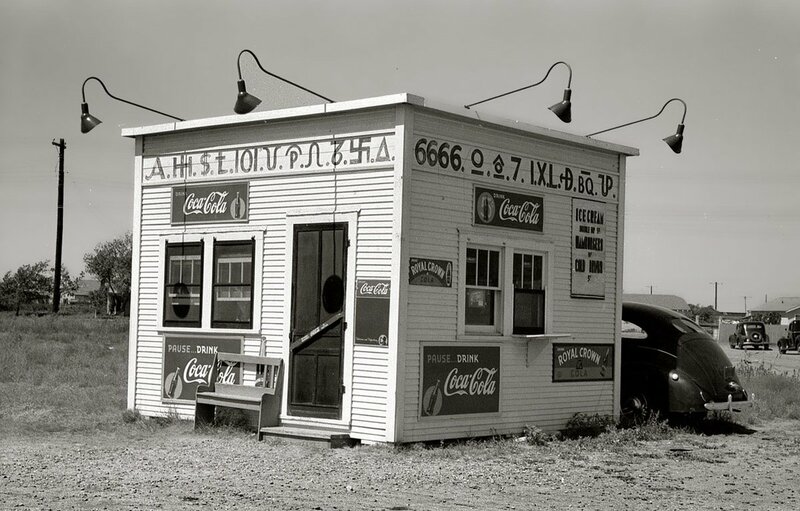 Hamburger stand in Dumas, Texas, 1939. Note the brands that run the length of the walls under the eves. And those lights! I would have loved to have seen this lit up at night. A classic image by Russell Lee.